The Curiosity rover marked its Mars landing with a small photo. Think about all the work that went into that one shot. 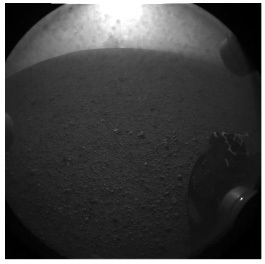 Last night, I stayed up late to watch the NASA livestream of the Curiosity rover landing. It seems to have been an unmitigated success: each step of the entry and landing process, even that crazy sky-crane maneuver, was performed flawlessly. A jet-fired hover crane just lowered a nuclear robot bigger than my car onto Mars. Then it emailed us pics, from the other side of the sun. Although there were tearful hugs and high-fives and all manner of cheering when “Touchdown!” was called, the wonderment built to a real climax when the first thumbnail image came through. It was small, in black and white, and showed the Martian horizon in the background, with the wheel of the rover in the foreground. Shortly thereafter, a slightly larger version was displayed: still black and white, but with enough resolution to show dust on the glass. A second one followed a few minutes later, showing the rover’s shadow on the ground. Cue the “pics or it didn’t happen” jokes, as well as the rapid proliferation of Photoshopped spoofs. One of the first images from the Curiosity rover. In our micro-culture of the moment, obsessed with photo sharing and images, this tiny thumbnail still seemed like a miracle (albeit a required one). A picture really is worth a whole lot of words. But have you ever stopped to think about what it takes to plan for that from Mars? We take for granted being able to snap a great-looking picture and send it wirelessly to almost anywhere we want with the tap of a few icons, but transmitting images back from another planet is a complicated process. The challenge was to devise a way to download the image data from each of the cameras, store the data in a pre-allocated memory location, process the data to remove known pixel defects, crop and/or scale the images, perform any commanded compression, and then slice-and-dice it all up into packets for hand-off to the main computer’s downlink manager task for transmission back to Earth. 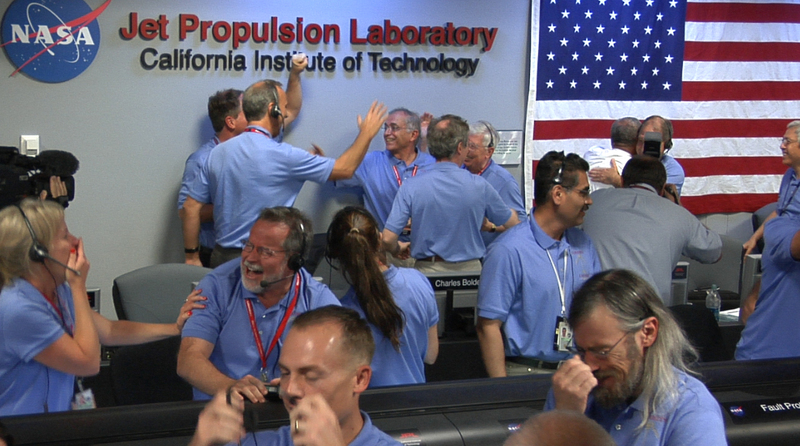 In honor of the Curiosity’s inspiring success, we’re making Hughes’ chapter available here. 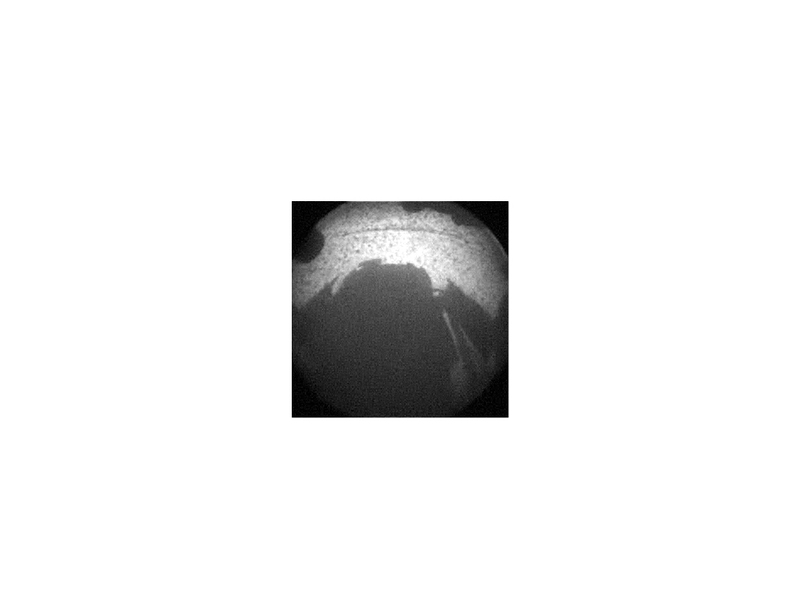 Reading about some of the design trade-offs required in building and successfully deploying the imaging software on a Mars spacecraft makes Curiosity’s achievement all the more amazing. 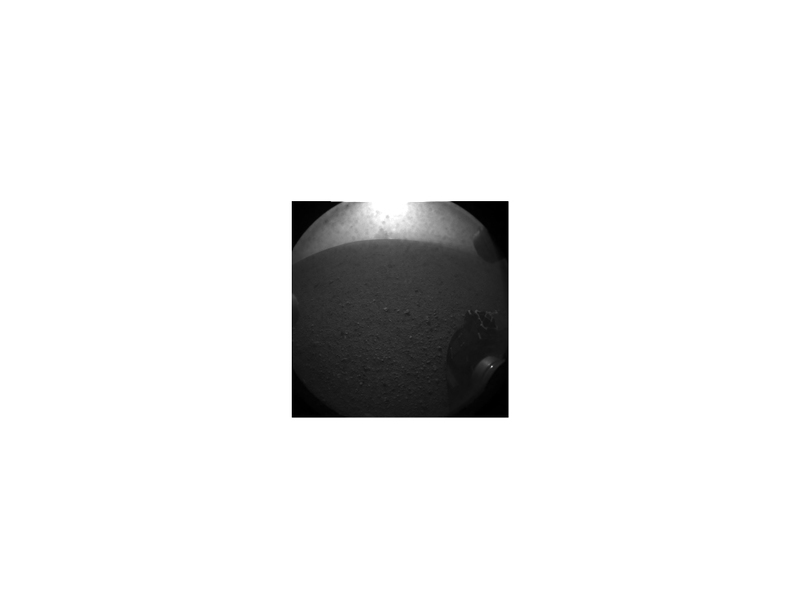 Images from the Curiosity rover can be found here. Beautiful Data — Learn from the best data practitioners in the field just how wide-ranging — and beautiful — working with data can be. Join 39 contributors as they explain how they developed simple and elegant solutions on projects ranging from a Mars lander to a Radiohead video. Save 50% on the ebook edition with the code PBDMARS.